I am finally getting around to posting again. 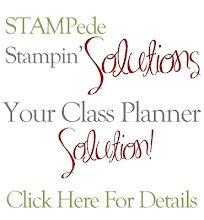 As most of you know I have been been working and creating our card classes for: http://www.stampedestampinsolutions.blogspot.com/ My real job is exhausting but I am having fun working on the card classes. My friend Joan and I are partners in this endeavor so wish us luck. 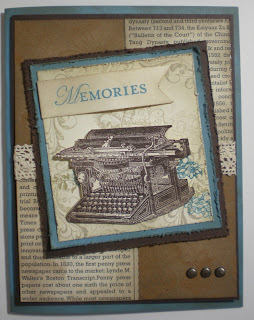 I love the Stampin' Up "Established Elegance" stamp set and have been making lots of card with it. Here is my take on this week's Mojo Monday ( http://mojomonday.blogspot.com/ ) challenge. I love your card. I has such a vintage look from your typewriter, to your newsprint, to your lace and brads. Very nice.